The milk tea craze has completely invaded the metro. People are walking on the streets holding their cups filled with tapioca pearls and sipping from large colorful straws. 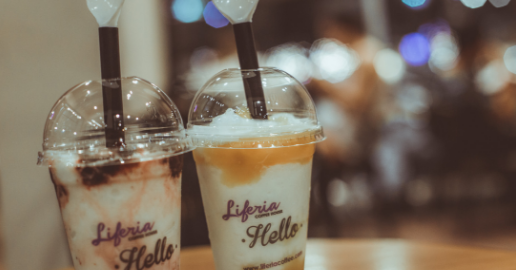 Although popular milk tea chains have been around for many years such as Serenitea, Chatime, and Happy Lemon, local milk tea shops are emerging everywhere, taking advantage of the craze and catering to the taste of teenagers and young adults. It has become a staple drink for the young generation, overshadowing other thirst quenchers sold in the market. 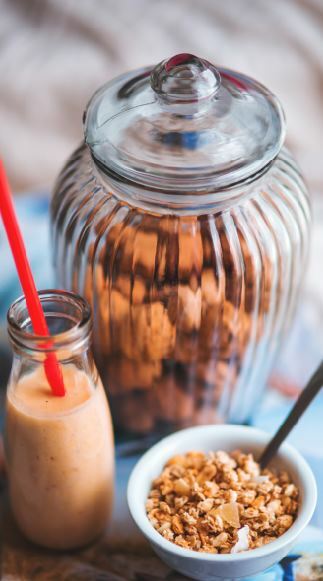 Milk tea is not necessarily new to the Dabawenyos palate since most of us grew up drinking sago’t gulaman and taho which are both milky and creamy in texture having either sago or tapioca pearls. Milk tea is most likely an evolution of these traditional Filipino drinks. Milk tea is said to have originated from Taiwan. A Taiwanese named Liu Han Chie of “Chun Shui Tang” teahouse in Taichung, concocted it in the 1890’s, serving cold Chinese tea and then eventually adding tapioca pearls as an experiment which quickly became popular not just throughout the Asian countries but including US and Europe. 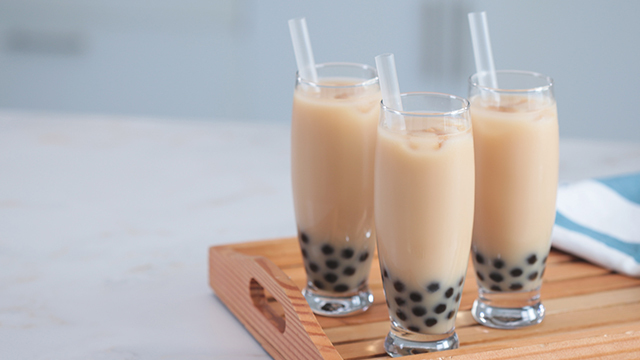 Milk tea comes in different varieties but its four common ingredients are freshly brewed tea, milk, sugar, and toppings such as tapioca pearls. The types of tea used in milk tea are black tea, green tea (usually jasmine green tea and matcha), and oolong tea. Aside from the usual fresh milk, soy milk is available in some milk tea shops as an alternative ingredient to cater to customers who are lactose intolerant. The sugar level of the milk tea can be customized depending to one’s preference. Finally, a wider range of toppings aside from tapioca pearls are available as well and these are grass jelly, coffee jelly, egg pudding, aloe vera, and many more. For those who have not tried milk tea yet, popular milk tea flavors you can choose from that will surely not disappoint are Wintermelon, Okinawa, Taro, Thai, and the classic Chocolate milk tea. As Dabawenyos’ cravings for milk tea become palpable, the number of milk tea shops in the city has vastly grown as well. Business people do not only compete with their distinct drink selection but also the ambiance and level of comfort of their milk tea shops. A gratifying milk tea and its aesthetically pleasing interior design will surely land in people’s Instagram and Facebook feed. Coming up with creative names for the milk tea shops is also an advantage for it to be easily noticed by the public (e.g. Christianitea, Worth Tea, Tealoca, and Infinitea). Milk tea shops here in Davao usually don’t run out of patrons. During weekdays, these establishments are filled with students either studying or simply lounging after a busy day at school. 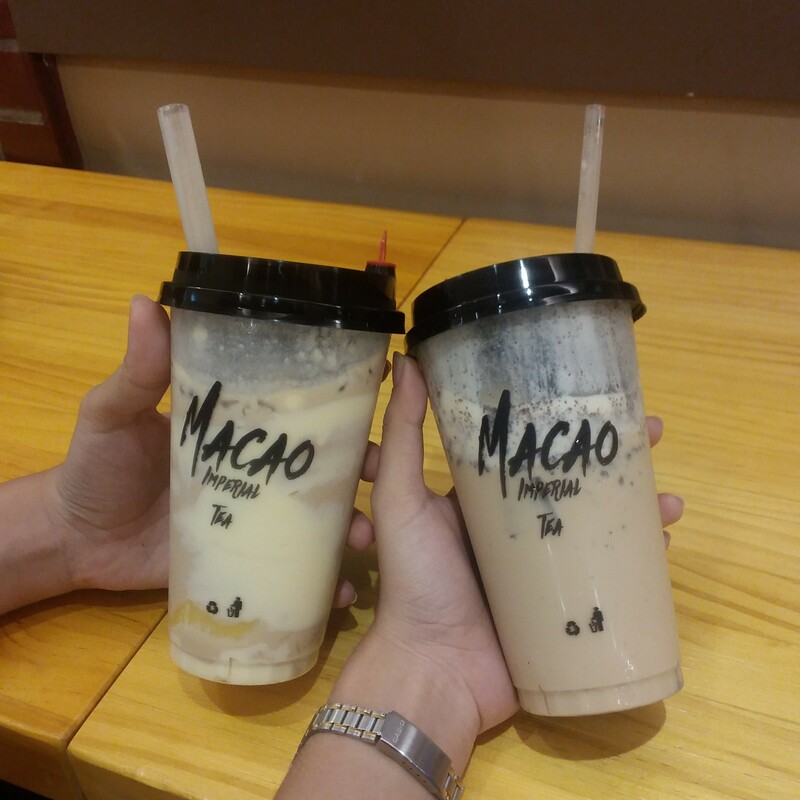 On the weekends, milk tea shops have become the spot for friends to catch up, enjoying each other’s company while indulging on delectable milk tea drinks. Some of the milk tea shops now serve drinks until midnight, catching up with the business alongside the resto bars and coffee shops that are open 24/7. 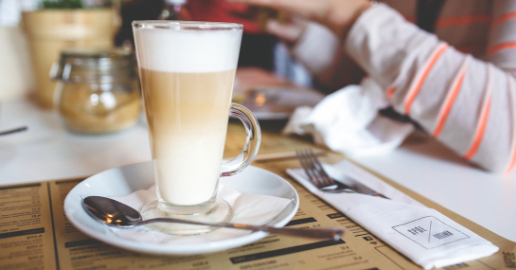 The craze has also made coffee shops include milk tea drinks in their menu which affirms the hype happening in the metro. Before milk tea became a universal drink, it used to be considered as a lavish beverage that only rich people can afford. However, due to the competition in the market, the price of milk tea has become affordable. Now, people drink it just like coffee. Anytime of the day, whether it may be early in the morning or late at night, people crave for it. Milk tea connoisseurs know that milk tea drinks should have the right amount of milk and tea mixed together. Both components should not overpower each other resulting to either being too sweet without even a hint of tea or bitter tasting without the element of richness to it. Once the ice has completely melted and the milk tea remains to be rich in flavor instead of becoming a watered down bland drink, one can validate that the barista has made a good job. Also, the tapioca pearls must be chewy without being sticky and never crispy (undercooked), mushy (overcooked), or much worse hard (raw) in texture. If the milk tea is devoid of these qualities, these milk tea shops are a total fraud. Amidst the milk tea craze invading the city, Dabawenyos must remain sensible in keeping a sustainable environment. 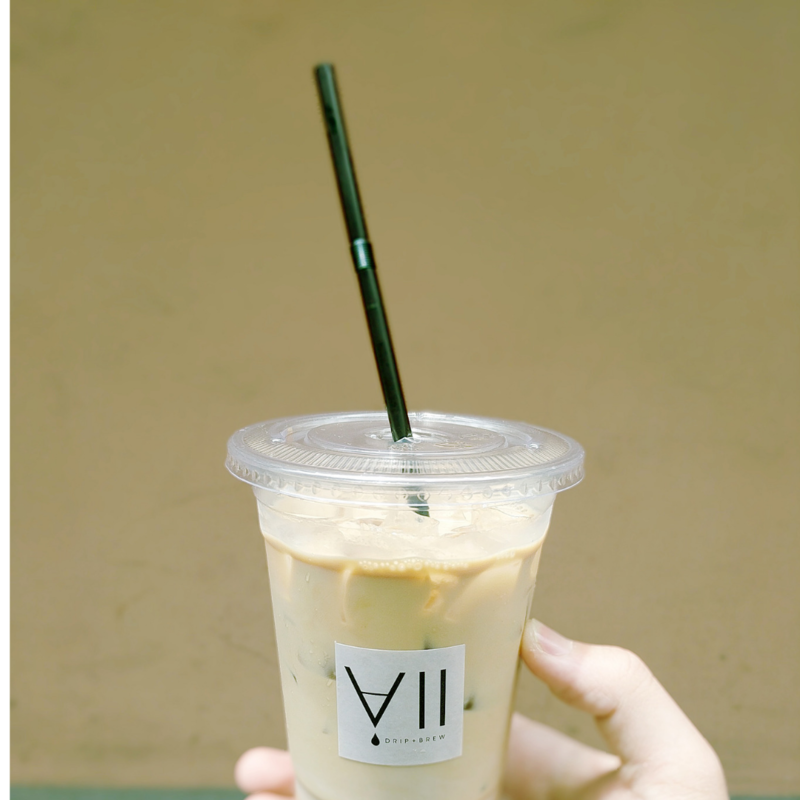 Some milk tea shops here have joined the initiative of replacing single-use plastic straws to bamboo and stainless metal straws instead. This movement can influence more people in becoming responsible by protecting the environment through manageable ways. If this discipline will continue, the amount of plastic straws disposed from the milk tea consumed everyday will slowly decrease, securing the condition of mother earth, while still enjoying the simple pleasures such as a cup of milk tea every day. 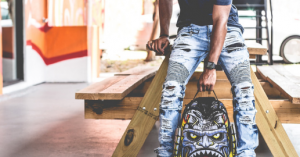 As this craze continues to intensify, environmental initiatives must become essential to all the consumers with current projections suggesting that this trend is going to stay for a while.